The weather is starting to warm up and so is my house! It’s Joanne again, and as I headed up to bed the other night it was so warm upstairs. I went right back downstairs and turned my air-conditioning on. So this got me thinking…why do I have to have it cold in order to sleep well? I’ve come to find out there is an actual science behind it! About an hour and a half before bedtime your body temperature will start to cool down. When your room is too hot your body will have a difficult time adjusting to the temperature. This could keep you awake and restless. If the temperature in the room is cooler your body will adjust quicker and it can help you fall into a deeper sleep and stay asleep. 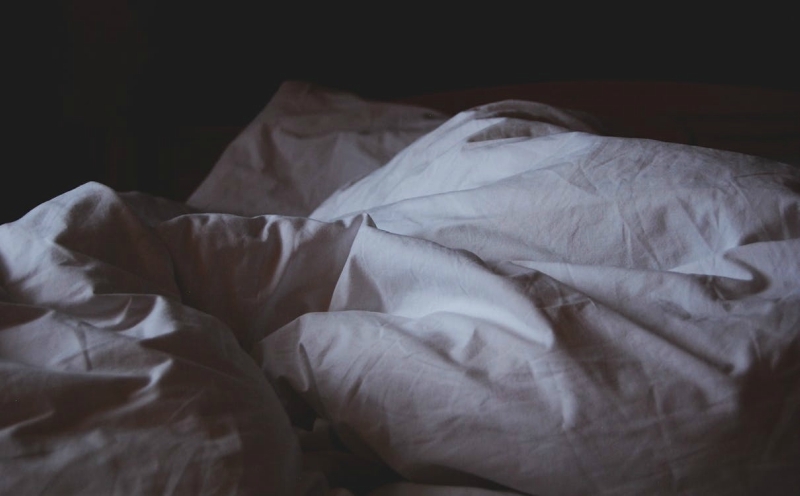 Did you know there are also many health benefits to sleeping in a cool room? It can help cure insomnia! A warm room can trigger your body to stay awake while cooler temperatures can help you sleep. Research shows that sleeping in a cooler room can increase your metabolism which can help with weight loss! Your body will produce more melatonin when it’s cooler which is an anti-aging hormone. Sleeping in a cool room can actually help you look younger! Since a cooler room can help you get a better nights sleep, you are more likely to have less stress and depression. With the temperatures warming up, now is a great time to make sure your air-conditioning is working at peak performance. Give Verne & Ellsworth Hann a call and schedule an air-conditioning tune-up! You may also want to consider having Verne & Ellsworth Hann install a new programmable thermostat in your home. This way you can automatically lower the temperature in the evening and get a better nights sleep! If you don’t have a cooling system in your home, give Verne & Ellsworth Hann a call for a free, in-home, no-obligation estimate! Get a better nights sleep not only from a cooler home, but knowing Verne & Ellsworth Hann provides exceptional service to it’s customers in Cleveland Heights and it’s surrounding area!